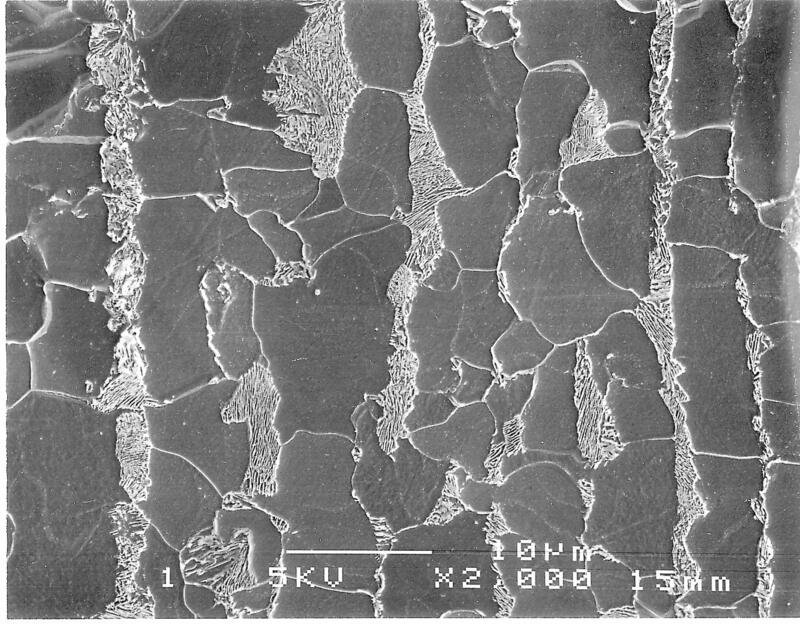 During a PhD project the fracture behaviour of ship steel was investigated at low and high strain rates. 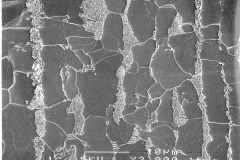 A high strain rate experimental facility was developed including high speed film analysis. 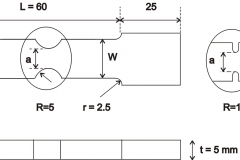 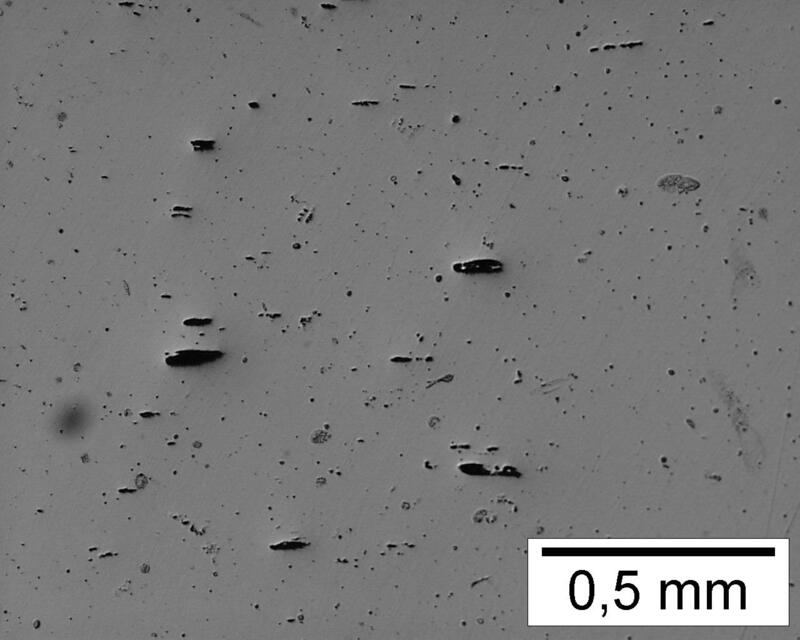 Both the deformation and fracture behaviour of ship steel Fe E 355 E KN EU 156 Mod have been analysed and numerical models were evaluated for ductile failure predictions including strain rate effects. 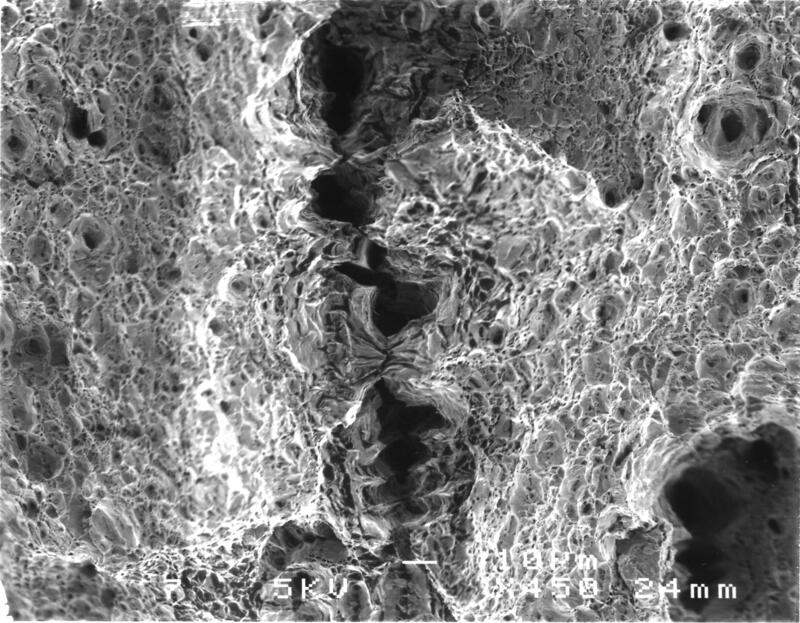 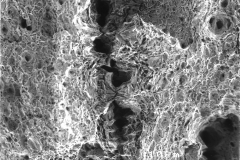 The pictures show SEM microscopy images of ferrite-perlite material structure and fracture surfaces. 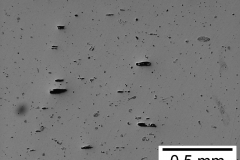 A manganese inclusion as initiatior of microsopic holes is shown as well as a cross section with hole distribution at large strains prior to fracture of a tensile sample.